Recently our community was dealt a one 2 punch. The sorrow was irrefutable. The pain undeniable. With the Holiday upon us we mourned silently. Celebrating was out of the question. the Spring storms reflected our troubled spirits. 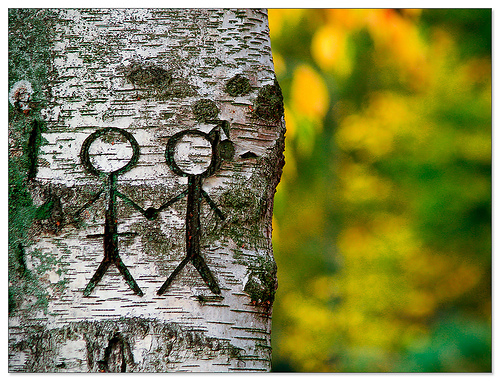 But there are those you encounter in life who unwittingly walk you through difficult times. 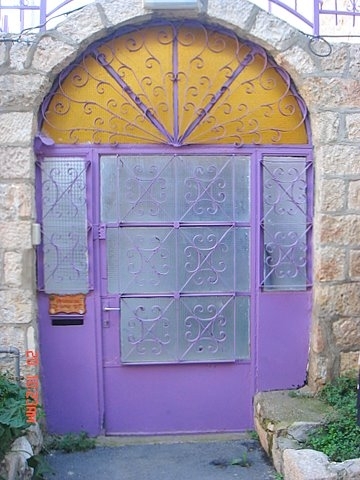 Their goodness, integrity and even purity make it easier for us to…well… get on with it. They don’t even know me. Not really. As they birthed their child. I held on to her. 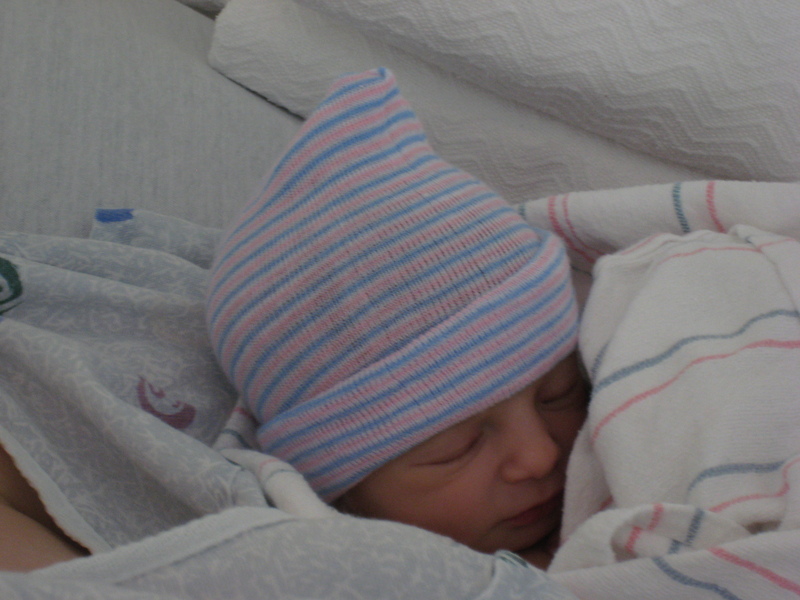 And in that moment of birth I cannot say much but this. with the father watching over the nursing mother. The sky grew dim, then dark. Day folded silent into night as I walked home. 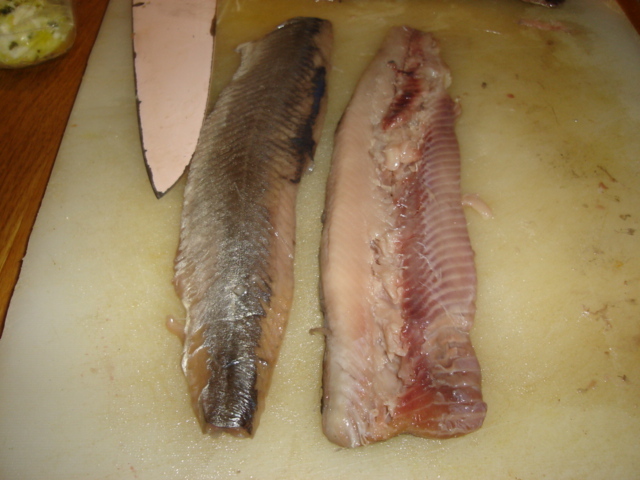 This is what your unprepared brine soaked mackerel will look like. 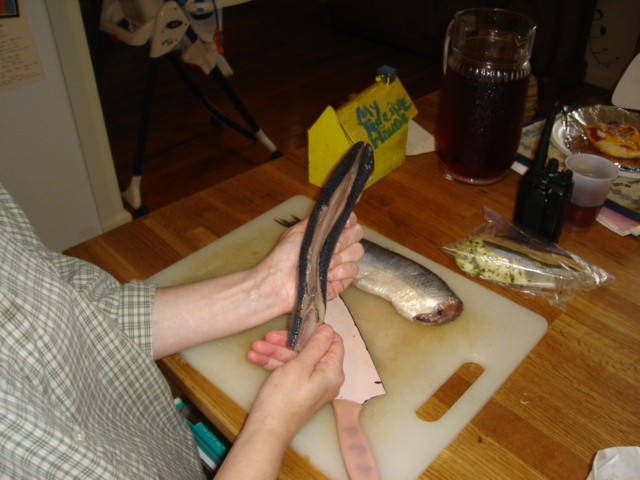 Starting at the head end,peel the skin back to remove it. 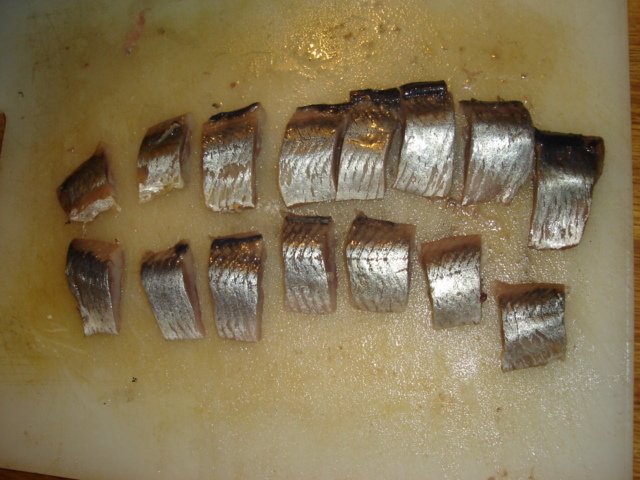 Pick out any bones that remain behind and rinse the filets. 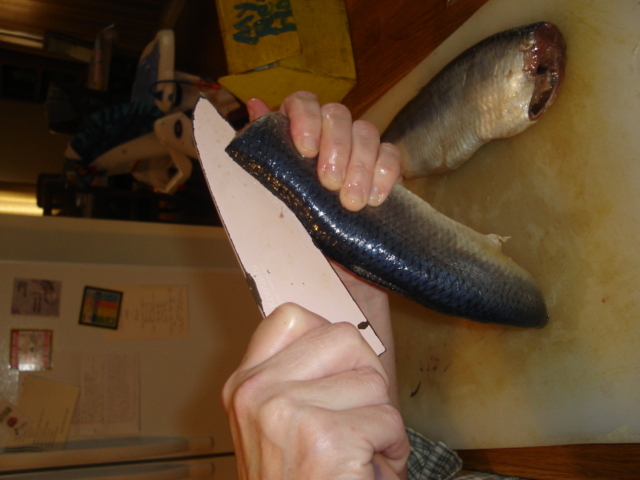 Slice herring filet into 1 inch pieces. In an apt above a Danish couple. left her apt. without a hat and pumps on. 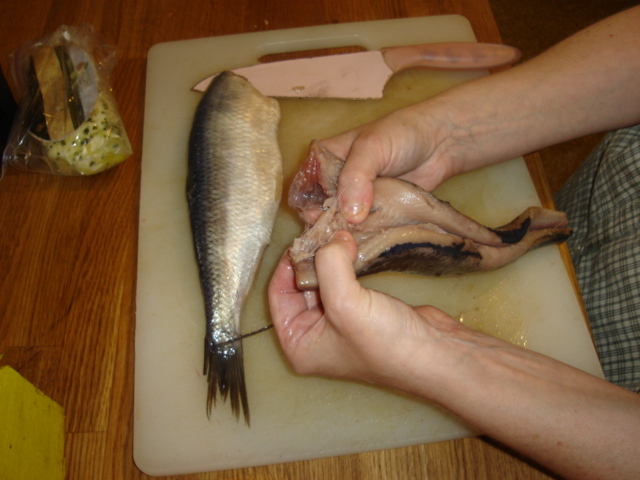 Cut up your herring as the photos describe. First cleaning it then removing the skin. Make a deep cut along the spine. 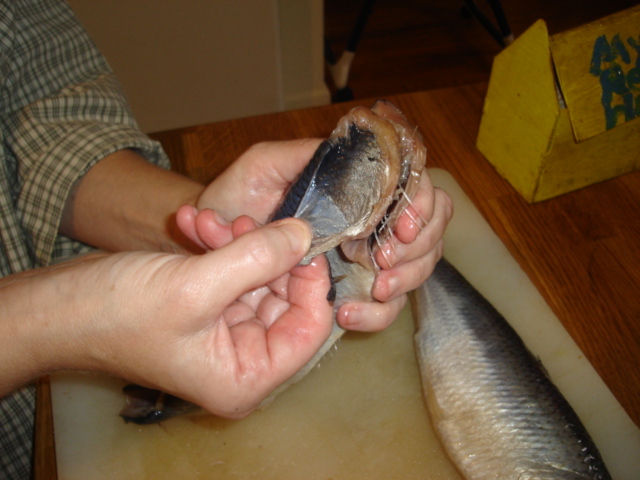 Pinch your fingers down to the bones and separate the flesh from the skeleton sliding the filet off the ribs as shown. You will be left with 2 filets. Pick out any stray bones that remain with your fingers or a tweezers. Cut filets into 1 inch pieces. 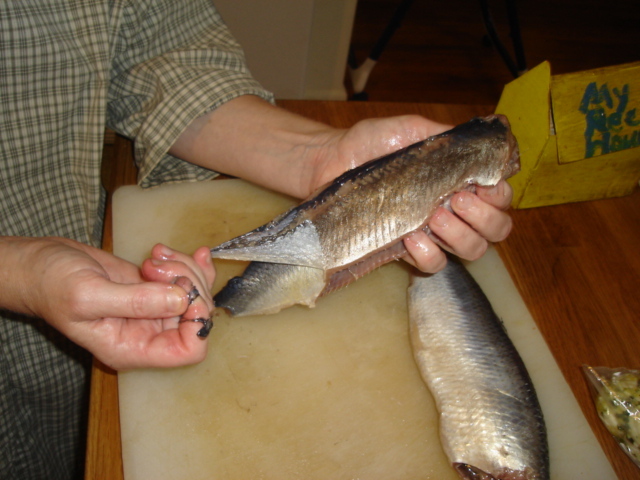 Now these herring are already salted so at this point you may want to soak your fish for 6 hours in water to remove the saltiness. 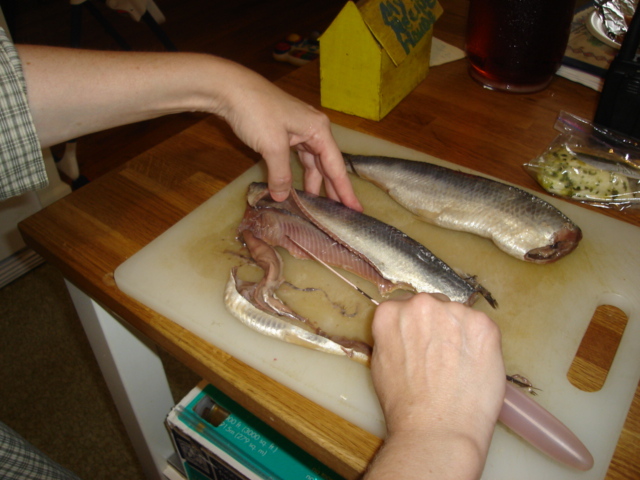 However, if your palate is accustomed to herring you can skip this step. 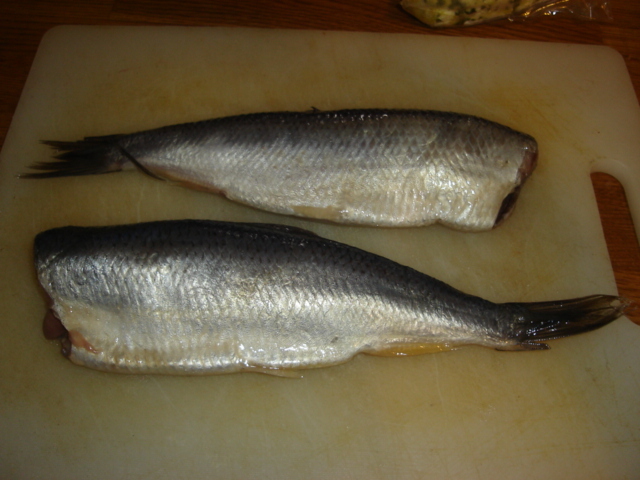 The American palate generally finds herring to be an “acquired ” taste and very strong all around. But those used to it find the soaked version bland and uninteresting. Put all ingredients into a clean container and place it into the fridge. Leave it for at least 48 hours. Enjoy it with buttered rye toast points.